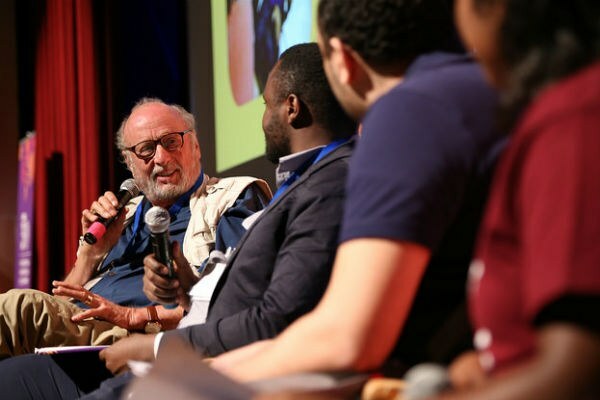 iEARN-USA marked the 30th anniversary of the iEARN network by hosting the 2018 iEARN International Conference and Youth Summit in Winchester, Virginia, USA, July 9-13, 2018. 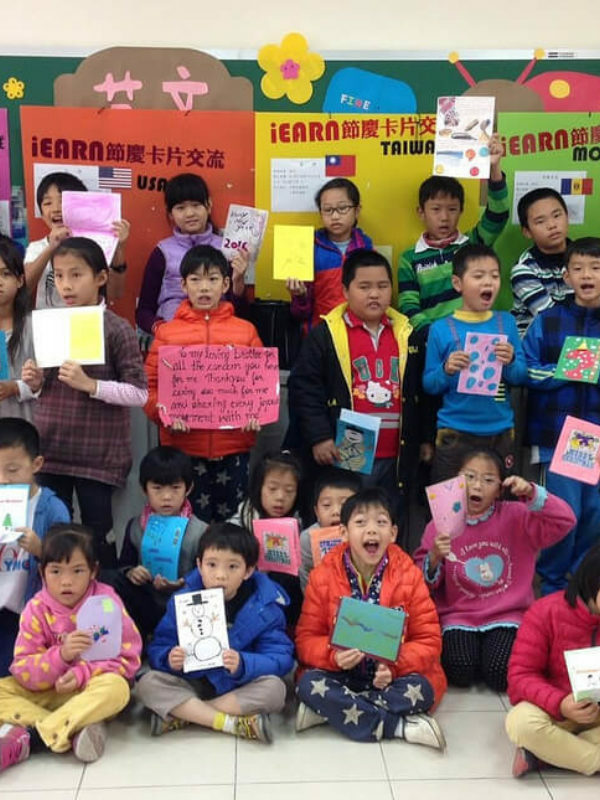 Each year, an iEARN Country makes a bid to host the annual conference (yes, like the Olympics) and for the first time in since 1998, the United States was the conference host. iEARN partnered with the Winchester School District to host the conference at John Handley High School for an extraordinary five days of educational sessions, keynotes and plenaries, all related to the theme of “Global Collaboration for Sustainable Development,” as well as cultural events and excursions. 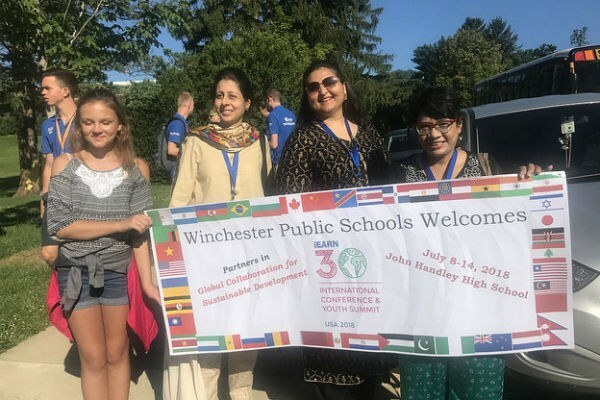 The local community, city, and businesses, in Winchester, VA and the surrounding area were incredibly warm and supportive of the conference, and many local educators, youth, and other community members volunteered their time to help throughout the week. Local businesses donated their fare to a “Taste of Virginia” special event held on Thursday evening which provided a taste of local cuisine. Words can't explain how special it is to be part of an iEARN Conference—it was an honor for iEARN-USA to be the host and look forward to seeing which country will take up the mantle in future years! 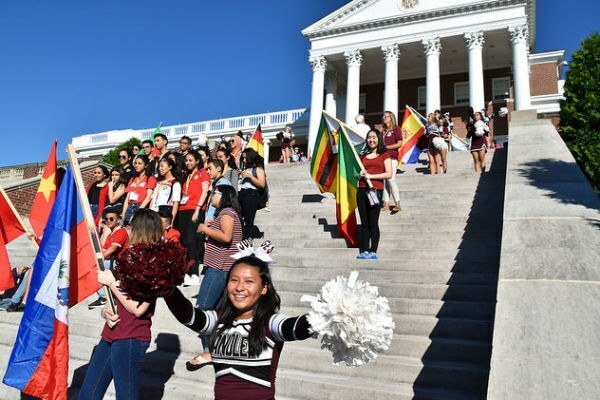 The conference officially opened with a warm welcome from the John Handley High School community including performances by the school’s marching band, cheerleaders, and a parade of flags. Opening day keynotes were provided by Kayce Freed Jennings, Co-Founder, The Documentary Group and Senior Producer, Girl Rising and Dr. Fernando Reimers, Professor of Practice in International Education, Ford Foundation and Faculty Director of International Education Policy, Harvard University , and iEARN’s Founder Peter Copen, and a memorial tribute to former iEARN-USA Executive Director Dr. Tonya S. Muro, as well workshops and sessions related to global education, virtual exchange and achieving the United Nations Sustainable Development Goals through collaborative project work. The morning opened with keynotes provided by Adam Garry, Director of Global Education Strategy, Dell, and Jennifer Klein, Author and Head of School, Gimnasio Los Caobos in Bogota, Colombia. Sessions and workshops continued through the afternoon, including a Technology and Innovation Lab, which included demonstrations and workshops on 3D printing, coding in the classroom, and flipped learning tools, and more. Meanwhile, Youth Summit participants attended special sessions including a presentation and activities related to the Girl Rising campaign, and took a field trip in the afternoon to engage in ands on Service Activities at local schools and parks. Following sessions, participants headed to Old Town Winchester for an evening of shopping and dinner on the lively pedestrian mall, as well as book signing and reading with Jennifer D. Klein, author, “The Global Education Guidebook: Humanizing K-12 Classrooms Worldwide Through Equitable Partnerships” at the Winchester Book Gallery. Participants had the options to select one of four cultural excursions to explore the beauty and culture of the Shenandoah Valley or Washington, D.C., including white water rafting on the Potomac River, exploring caverns, or seeing a production of West Side Story at Shenandoah University. Shomy Hasan Chowdhury, Youth Water, Sanitation and Hygiene Activist from Bangladesh, and iEARN YES Program alumna, provided the morning keynote, which led into a youth panel, with Youth Summit participants sharing the projects they are doing in their own communities to make a difference. “A Taste of Virginia” was provided following the days activities, with food and beverages being generously donated by local businesses, and served up by volunteers. 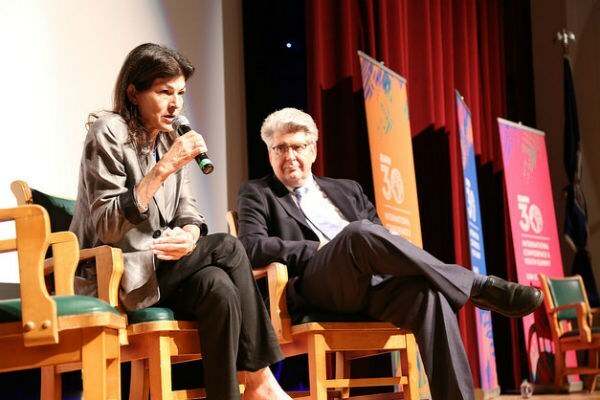 The public was the invited to attend International Culture Night on Thursday evening, July 12, 7pm-10pm, in the Patsy Cline Theatre at John Handley High School. 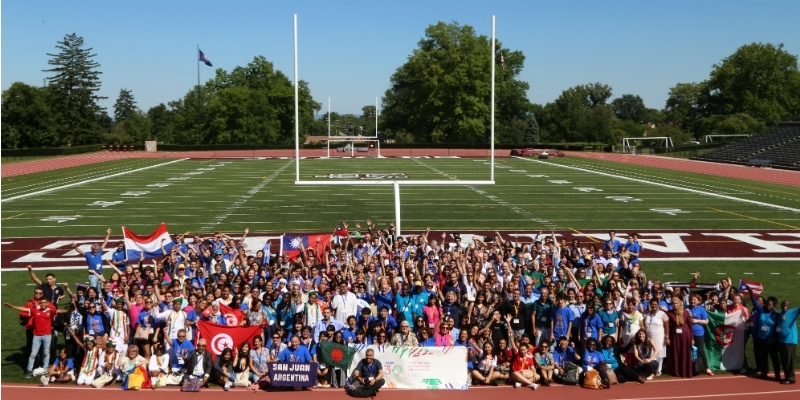 Attendees from the 2018 iEARN International Conference and Youth Summit, shared cultural performances and presentations from their country or culture, including songs, dances, a karate demonstration. 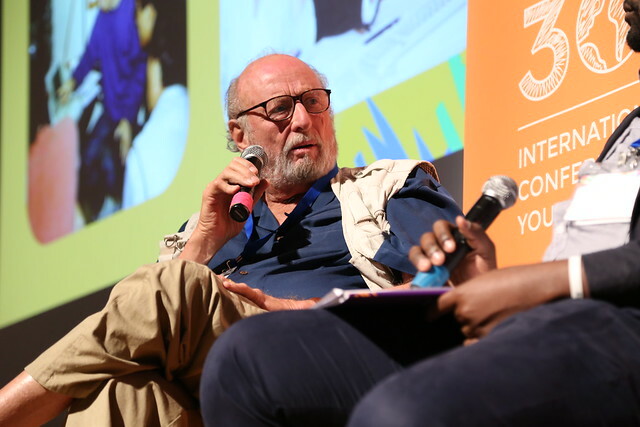 The final day of the conference featured keynotes by Dana Mortenson, Co-Founder and CEO, World Savvy and Gian Paul Gonzalez, Educator and Founder, Hope and Future, as well as a closing ceremony thanking and recognizing participants and iEARN leaders around the world. A closing night gala was held in Old Town Winchester, with participants getting dressed to the nines and enjoying traditional American BBQ and dancing. iEARN-USA would like to thank our sponsors and partners, without whom this event would not be possible. A Vision in Motion, ACEI, Dreamline, Digital Promise Global, EducationNext, Global Co Lab Network/Teens Dream, Millenium Education, IIE/Fulbright Distinguished Awards in Teaching Program, The Choices Program (Brown University), United Palestinian Appeal (UPA), Winchester Book Gallery, and World Savvy. City of Winchester, Old Town Winchester, Shenandoah University, Top of Virginia Regional Chamber, Winchester-Frederick County Convention & Visitors Bureau, and Winchester Public Schools. Bonnie Blue, Chic-fil-a, Chopstick Cafe, Cici's Pizza, Costco, CTE- Come to Eat, El Palenque Bar and Grill, Honey Baked Ham, J & W Farm, Macado's, Marker Miller Orchard, Martins, McDonald's, Metro Pizzeria, Mission Barbecue, Okinawa Hibachi, Olive Garden, Patsy's Pastries, Roma's Old Town, Roy Rogers, Ruby Tuesday, Santorini Grill, Sharp Shoppers, The Tea Cart, Taqueria Guadalajara, Tropical Smoothie Cafe, Union Jack Pub and Restaurant, Village Square Restaurant, Virginia Farm Market, and White House Foods. 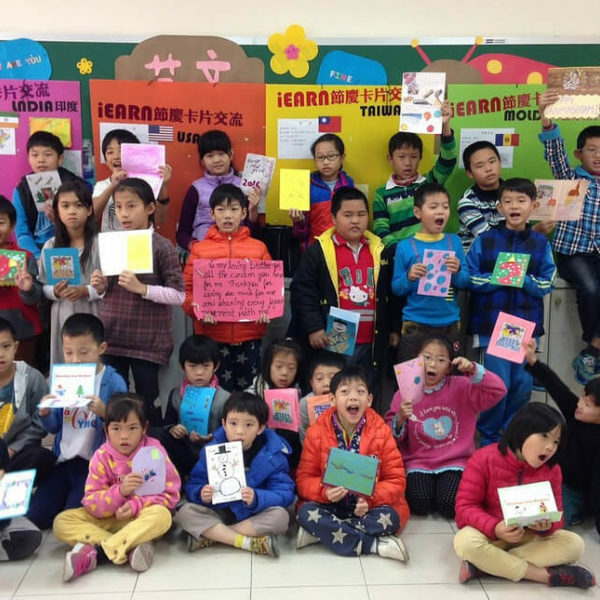 Missed the iEARN 2018 Conference and want to attend our next big event? 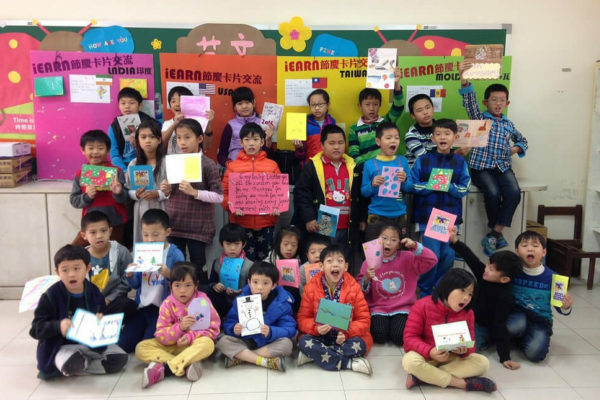 Become an iEARN Member educator, school, or district, or sign-up for our newsletter to learn about all upcoming events and opportunities available in the iEARN Network.